Your pictures are great. 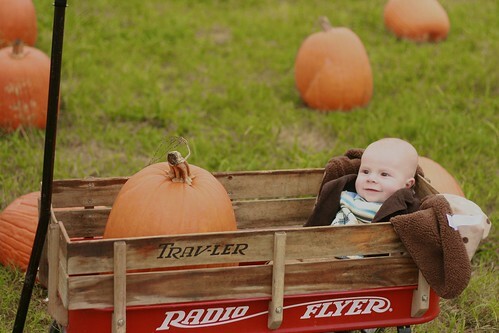 I love the idea of taking a pumpkin wagon picture every year. What adorable pictures. 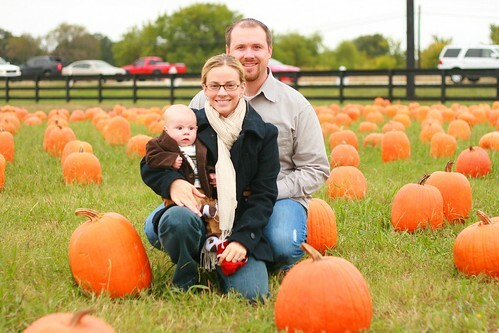 I love the one of your little guy in the pumpkin....and what a great family tradition to start. Those pictures turned out so good. Sorry the weather didn't cooperate for you. We are excited about going too. I will pictures as soon as I can. OH..my goodness...those are the cutest pictures! Those are some beautiful photos! Just gorgeous! I have an award for you... stop by Ordinary Inspirations. Popping in from SITS! Lovely pictures. 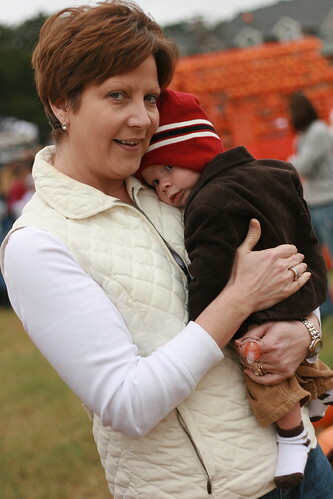 Look at your little man - too cute. Great captures. We are heading to the patch to do some snappin' and pickin' on the weekend. First visit to your blog - saw you on SITS! 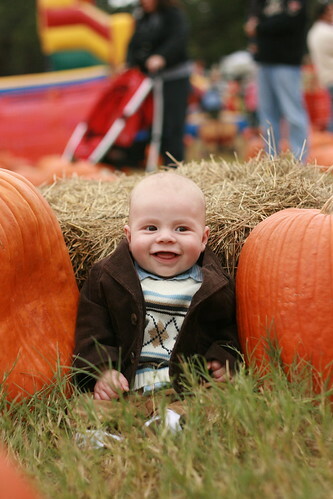 I just love your pumpkin patch photos!!! They are so cute. 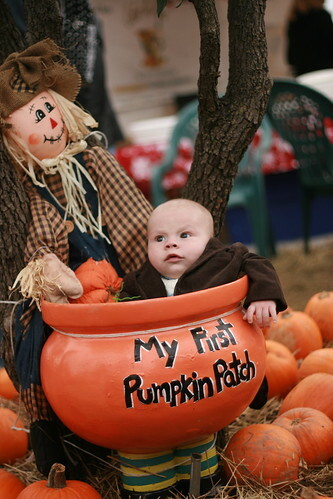 Love the photos of the little man in the pumpkin.